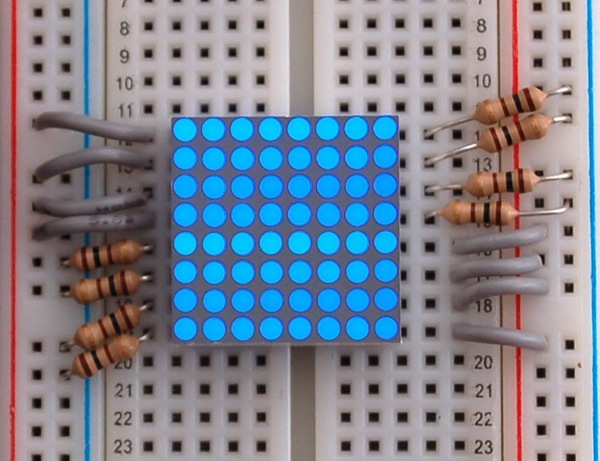 NEW PRODUCTS – Miniature 8×8 Blue LED Matrix [BL-M07C881B-21] « Adafruit Industries – Makers, hackers, artists, designers and engineers! Since the display is in a grid, you’ll need to 1:8 multiplex control it. We suggest either using a 74HC595 and TPIC6B595 (using the 74HC’ to control the 8 anodes at once and then using the TPIC’ to drive one cathode at a time) or just using a single MAX7219 which will do the multiplexing work for you. These are neat matrices. Unfortunately it doesn’t appear you can tile them properly. 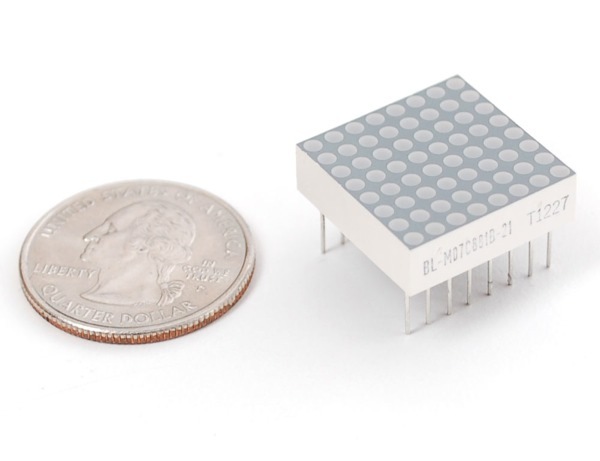 According to the datasheet, the dot spacing is 2.5 mm, however, the overall package size is 20.20 mm. This greater than (8 dots * 2.5 mm) = 20 mm. Has anyone tried tiling these?